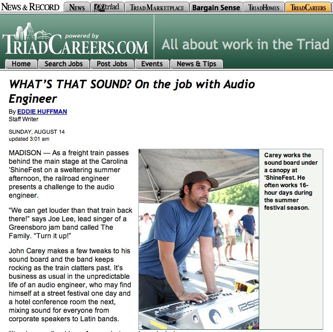 Greensboro News & Record Careers Section of the newspaper this weekend had a great article on CareySound’s own John Carey. He was interviewed for it a few weeks ago in Madison while providing production for Shinefest. Please follow this link for to read the full article.